We provide an eight-step process for writing an IVR script, while providing some key do’s and don’ts along the way. While this may sound contradictory, it is important to think about the quickest way to get the caller through to the right advisor, with the right skill set, with the least amount of effort. So, Steve Hindley, the Creative Director at iNarratorOnHold, suggests that the contact centre should avoid writing anything to start with and instead map the process out. In fact, Steve says that we should first think about when “a call comes in, what are the departments that they might want to speak to? And, how do we connect the dots? Breaking the IVR into manageable chunks is helpful, as customer frustration can build if they have to listen through eight options, for example. Instead, a set of two questions, with four options, might be more appropriate than one question with eight. 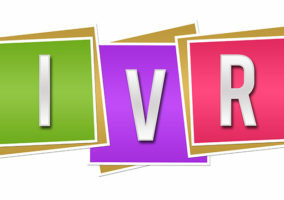 The IVR will be an interface that your customers and possibly the general public will be exposed to, so it is vital to use it as an opportunity to represent and reinforce your brand image and identity. So, consider consulting other members of the contact centre team who have a good knowledge of brand identity, as they can help to suggest the type of language that should be used. Creating the IVR script should be part of the whole customer journey, not treated as an isolated system. An IVR should not be contact centre-centric. Being able to recognise whether it is a new or existing customer and giving the customer the options that they want at that point in time is a great feature and helps to streamline the process. AO’s contact centre have done this and streamlined their IVR system to take the customer through the most efficient route of service, based on the stage of the customer journey. When IP Integration are designing a new IVR, they often start off with a clean simple flow, but this is often then lost as additional functionality or complexity is added to the design in an attempt to deal with every possible eventuality and outcome. This is according to Valur Svansson, who says that “it is not always possible, but if you can, design to cover your original objectives and push the exceptions and complex cases out to advisors to let them deal with them. “This will allow the majority of callers to have the best possible IVR experience while the more complex cases are quickly identified and removed from the IVR. Once the call-flow has been mapped, ensure the language the IVR script uses fits in with the brand and is in the language of its customers. Language that customers understand and language that they would want to hear, whether it’s formal or informal, needs to be tailored to the type of company. Steve Hindley notes that using the client’s terminology rather than internal terminology, certainly with banking, insurance and any technical services, is an important thing to do. Giving an example, Steve says, “in the case of one insurance company, they were using a different word for ‘renewal’. But everybody knows that you get a renewal letter through the post and we understand that terminology. If your brand is directed at a certain target market, how you write a script will be influenced by that. But a company that does not necessarily have a target market must ensure that it is appropriate for everyone. So, Steve Hindley recommends “going through and looking at the different demographics of your customers and creating customer personas. 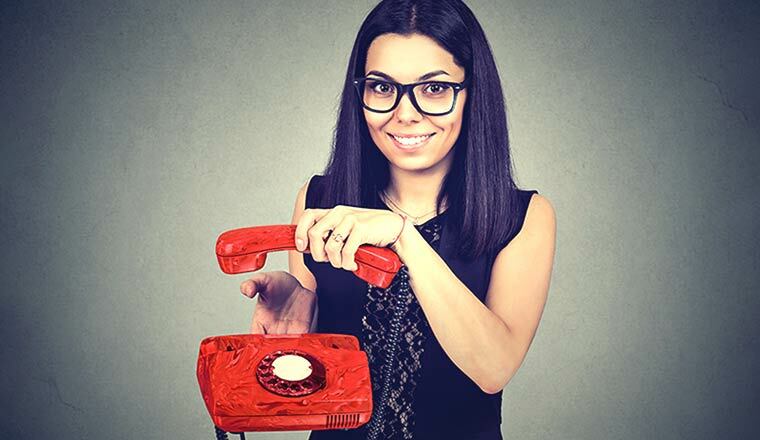 It is very easy for the IVR design team, who may have immersed themselves in the design of this system, to have forgotten what it was like when they were first exposed to the IVR flow. It is easy to accidentally use terminology or acronyms in the prompts that are commonly used in their industry but may be unfamiliar to all the end users. As Valur Svansson says, “if users regularly encounter the IVR, so that they build up a familiarity with it, then it might be acceptable, otherwise ensure that the prompts are clear and direct using plain English. “It is a good idea to run the IVR design, including proposed prompts, past an individual who is unfamiliar with the project to see how they react. The results can be surprising and can head off costly redevelopment. Although the IVR might be live, this does not necessarily mean that testing is over, as there is still time to find ways to improve the caller journey. Steve Hindley recommends that the contact centre “keeps testing the IVR and be sure to keep an eye on stats, such as abandon rates, as well, and how they change over time. “So, if you were going to write a new script, benchmark the last three or six months and take that as a snapshot, before implementing the new IVR. Remember, the business, and the contact centre itself, will always be changing internally and there is always something that can be done to improve the customer journey. While IVRs are great tools that direct customers to the most appropriate advisor, it is the last place that the customer wants to be, so try to make the process as quick and easy as possible. Use “For sales press 1” instead of “press 1 for sales”. Most contact centres now have the function and then the option number, in their IVR. For example, “for sales press 1” instead of “press 1 for sales”. Steve Hindley agrees with doing this, stating that “this is because of the way most people’s brains work. They are listening for the most relevant option, so they immediately listen out for the function of that option. Many companies will try to save money by getting a member of staff to record their prompts. However, Valur Svansson advises against this. In fact, Valur says that “a professional external recording company will be able to provide various recording artists so that you can pick a voice that matches your company profile and becomes your persona. “These artists are able to record multiple voice clips in a single recording session that have a consistent tone, pace, volume and intonation. A big thing that a lot of companies are cottoning on to at the moment is the call-back option, according to Steve Hindley, who encourages people to use this function. When we visited HomeServe’s contact centre, they ran an IVR-based survey at the end of the call, so customers would not be as afraid to reveal their true feelings as they might be when speaking to an advisor. But, according to Steve Hindley, First Utility have taken this one step further. He says that “the company have a professional IVR menu, which has about four or five options on there, to get through to the most appropriate advisor. “And there is a message recording by the company’s Customer Service Director, who says ‘we are always trying to improve our company’s customer service. If you wouldn’t mind, at the end of the call, could you answer three or four questions. If you want to do this, just press 1’. By doing this, First Utility have also been able to cut the dead-air time while the customer waits in the queue. Messages and scripts are often too formulaic, as companies use standard terms, which people hate. This can really agitate customers. So, instead, consider playing hold music while in the queue or fill the time with a recording that asks the customer to take a customer feedback survey at the end of the call – as discussed in the “Do” section. “The IVR script should evolve with the rest of the contact centre,” according to Steve Hindley. So, keep an eye on metrics like abandon rates and where customers are dropping out of the IVR, to look for signals as to when you should consider tinkering with the script. Using the guides set out above, we have created a basic IVR script example that is presented below. However, please bear in mind that option choices and language will vary massively, for differing types of organisation. “Hello and welcome to [INSERT COMPANY NAME]. Calls may be recorded for training and quality purposes. To use our automated service to make a payment, please press one. If you want to speak with a member of our customer service team, please press two. If you’re expecting a delivery today, please press one. If you’re expecting a delivery later this week, please press two. “I’m sorry about the wait, but we have two options for you. First, you can continue to hold and wait for an advisor. Or, I can keep your place in the queue for you and one of my team will call you back when you reach the front of the queue. So, press one for me to queue on your behalf and wait for one of our team to call you back as soon as possible, or press two to stay on the line and hold for the next advisor.” – [Chief Operating Officer]. 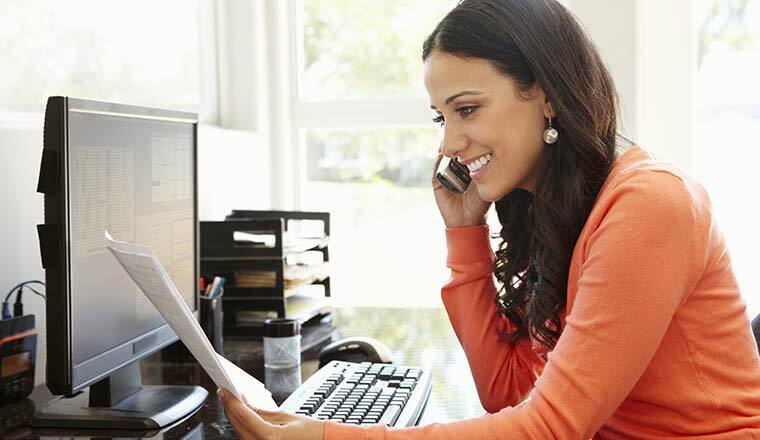 Do you have any other advice for writing an IVR script? What Is an IVR and How Can It Benefit the Contact Centre?